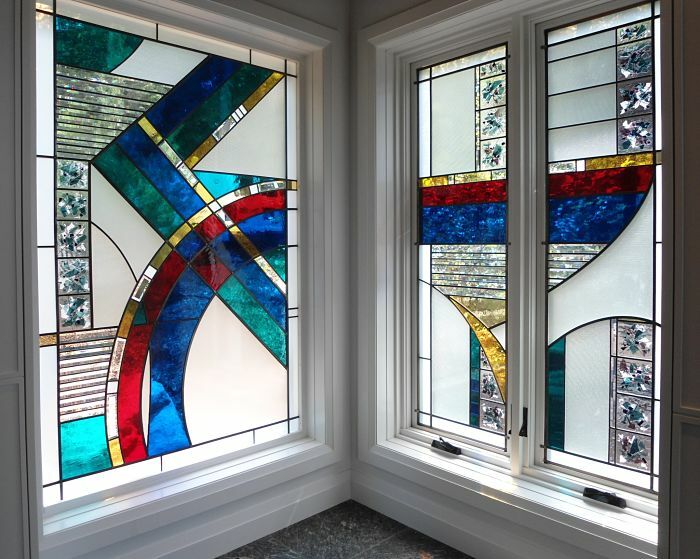 We've been designing original, custom glass artwork for our clients since 1982 - just like these recently installed stained glass windows. 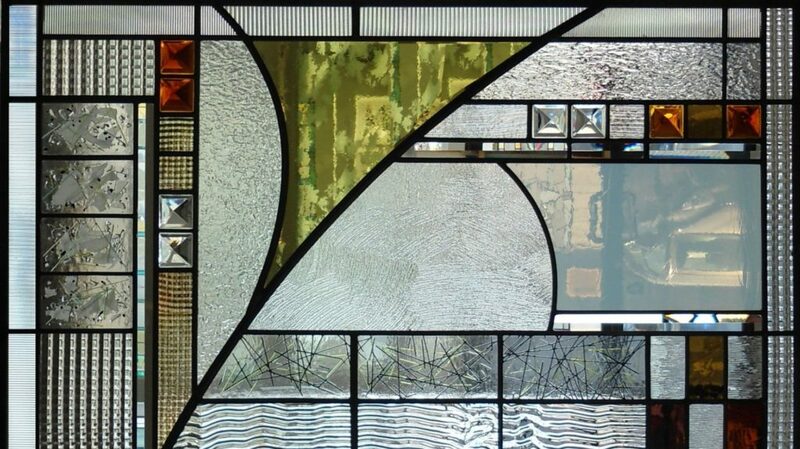 This design combines gorgeous mouth-blown glass with our custom hand-bevelled glass and individually hand-made fused glass tiles. 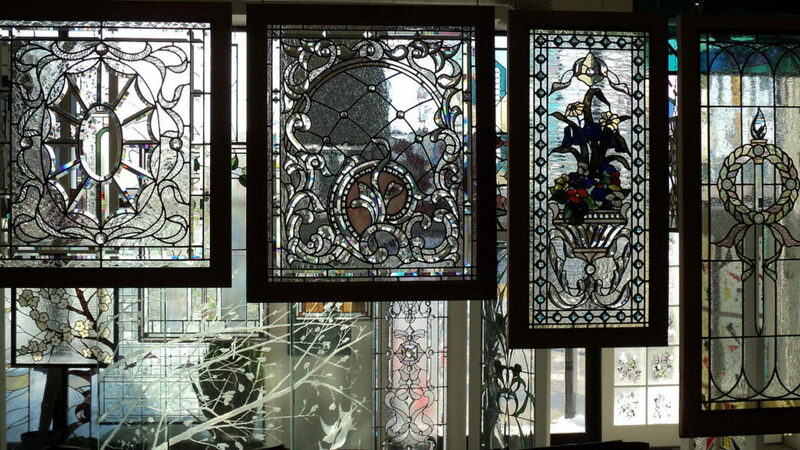 Our art is commissioned for skylights, door panels, leaded windows, kitchen cabinet panels, room dividers, glass railings, decorative firescreens and wall art. Scroll down for more examples of what we can do for you or visit our studio! 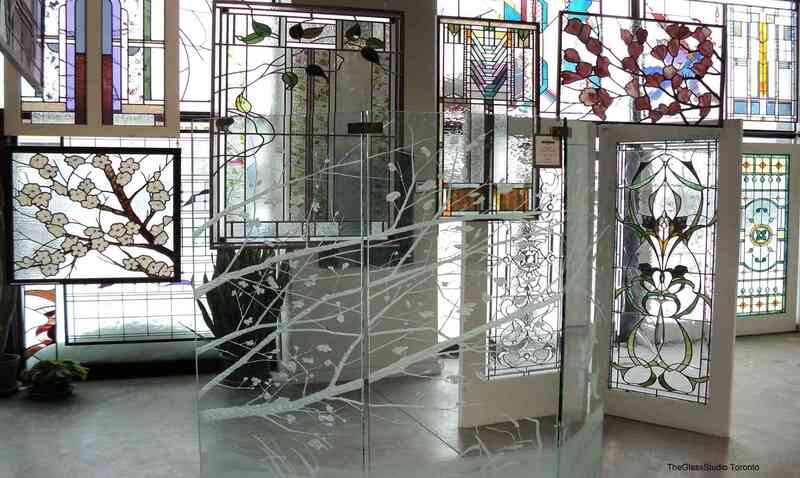 The Glass Studio's showroom has dozens of examples of our work on display and there are thousands of photographs of previous commissions in our portfolios.